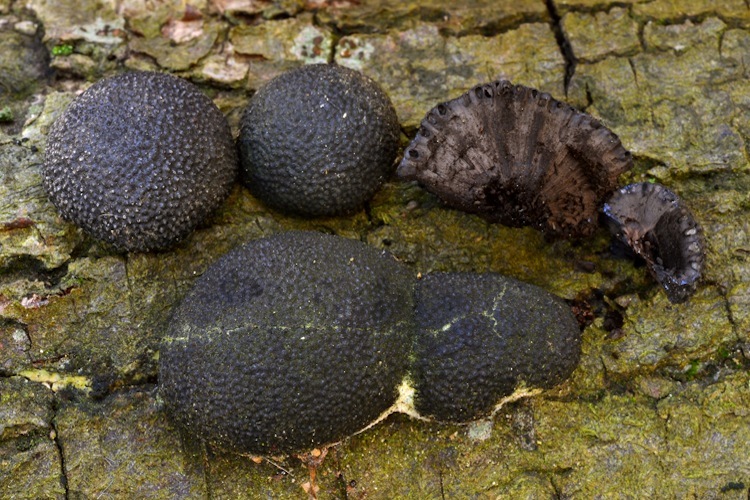 Annulohypoxylon have dark, hard, round fruitbodies and are extremely common on the bark of dead oaks and tanoaks. The fungus lives as an endophyte for much of its lifecycle, fruiting only after the tree has died. This species is thriving on the abundance of dead hardwoods that have succumbed to Sudden Oak Death Syndrome. Annulohypoxylon thouarsianum is the only species of this genus in our area. Important identification characters: identification is straightforward.